Welcome back to the Healing Pain Podcast with Dr. Carolyn Berryman. Today, we are talking to Dr. Carolyn Berryman about the impact of pain on your cognitive function. Let’s start out with a question. Has pain ever affected you so much that you’ve had problems with your memory, or you’ve had problems making decisions, or you’ve had problems paying attention maybe in school or class or at work? 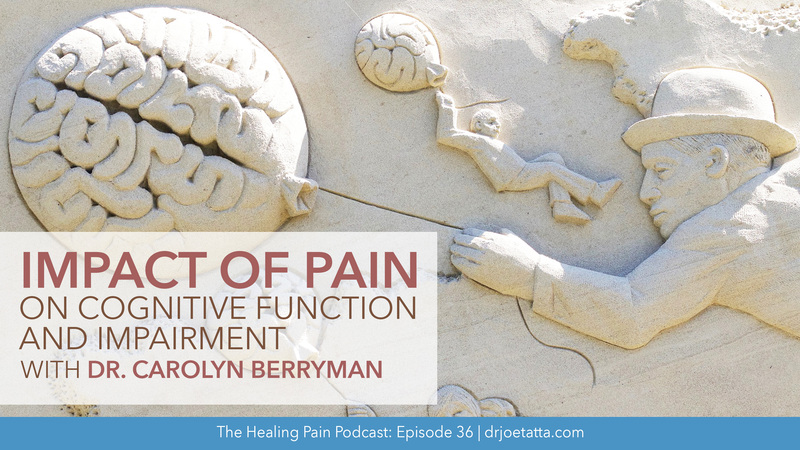 Today in the podcast, we’re going to review what is cognitive function and if pain interferes with cognitive function or causes cognitive impairment. 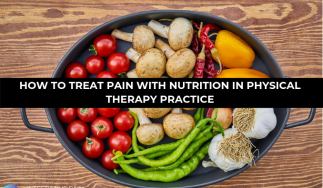 Before we start, you can join me live at the PT NEXT Convention on June 21st to the 24th in Boston, Massachusetts, where I’ll be talking about nutrition and its implication on musculoskeletal pain. I’m super excited. I hope you can all join me there. I want to thank the APTA for inviting me to speak. Dr. Carolyn Berryman is a physiotherapist. She also has a PhD in neuroscience. She is from Australia. I want to welcome her to the program. How are you? Nice to meet you. Pretty good. Great for you to be here. I’m super excited. I know you’ve done a lot of great work with your PhD and you worked with BodyinMind.org. As we approach this topic, the word cognitive function is abstract to people. Can you explain what that really means and what goes on with cognitive function in a normal person? Cognitive function is the mental capacities that you have to look after yourself. Cognitive function is a very good description or a term used to describe the mental capacities that you have to look after yourself basically. Those things that you might use on a daily basis; planning, things we call executive functions or higher order cognitive function. We might be using judgment, decision-making. Also short-term memory retention, so working memory, which I like to call them the in environment neural network, where you’re taking in the local environment and actually processing the environment and then making decisions on what you might do in that environment. Things like you’d find the exit sign. If you’re in a foreign environment, you’d keep a little memory running of the exit sign just in case something went wrong in that environment, but you don’t have to remember that long term. You just have a short term memory for that and it functions to let you integrate with the environment. Cognitive function is pretty well described but is very poorly defined in the literature. If you’re a psychologist, you get what cognitive function is really pretty easily because they study it in depth. But if you’re a physiotherapist or if you’re a physician maybe who deals with something with pain, you’re not really thinking about someone’s cognitive function right away, although we’re starting to look at this more in depth. Just a whole review of neuroanatomy and neurophysiology, what part of the brain are we talking about when we discuss cognitive function? Probably the main area is the dorsolateral prefrontal cortex, which is the area that processes quite a lot of the cognitive function. It’s also linked to your limbic system, emotions and cognitive function linked as well. I guess pain processing is really facilitated by complex neural networks. They involve perception and cognition and emotion. In amongst all the networks that are processing pain, you also have some of these networks giving it a bit of processing cognition at different points in time to make decisions and things. In fact for physio, one of the things that’s really important to realize is that cognition is embodied. That is if you think about the word “kick” immediately you’ve got increased excitation in the motor cortex area of your foot. You’re starting with exercises and things to use cognitive function in that way. The other side of that coin is, we can think about kick and we’ll actually make the motor program for it, then if you haven’t got the motor program, maybe we got perceptual deficits there too. A fun study that someone did actually looking at what Botox does. It ends up that you actually process sentences which involve anger or sadness much more slowly than people have a Botox. They stopped the motor program and actually changed cognition. The physical effects is really interesting and really important. Obviously, the physical affects the mental and the mental affects the physical in that case? What do some of the research tell us about pain and cognitive function? There are many, many different types of pain, of course, or many different types of pain syndromes, I should say. What does the literature say about cognitive function as it relates to those with chronic pain? That was a big part of my PhD. We did a couple of systematic reviews, which were quite large. A lot of people have investigated cognitive function and its effect on pain. The literature before we did this systematic review was actually desperate. There are some people that would say that it had an effect and interfered, that pain actually interfered with the cognitive function. Other people might say not. The part of their reason that that happened was when we were looking at the 24 studies of working memory emphasis in people with chronic pain, we found that they tested working memory in at least 24 different ways. People have decided to design their own ways of testing these cognitive functions and how bad is the ill definition or ill defined concept that cognitive function is. People with chronic pain probably have a little bit more difficulty dealing with the day-to-day activities of daily living. Nonetheless, we found over the literature that in fact working memory is poorer, in general, in people with chronic pain states. We took it just as a very broad definition of chronic pain, meaning that they probably have a little bit more difficulty dealing with that interaction with the environment and the day-to-day activities of daily living, calculating change, all sorts of things that are an ongoing concentration in mental capacity. Also it’s set-shifting. Set-shifting is otherwise known as mental flexibility. The ability to change your idea, change your concept of how you see a particular problem. As you might imagine, that’s quite important when you’re using some of the treatments that we use. For example, on the BodyInMind.org group and NOIgroup, they explain pain conceptual change model that we use to try and get to the different narratives of their pain and get them to think about their pain differently. Sometimes that can be impeded if you haven’t got good ability to actually be flexible mentally. Some of the pain science education, depending on how you explain it and depending on how well-versed a clinician is in explaining some it, it might take a significant amount of one of your patients’ attention or focus, to grasp some abstract concepts. It’s interesting because they’re impaired and in some ways we’re expecting them to be able to process these higher level functions. Cognitive impairment also seems to depend on context. If you’ve got them in a safe environment, you’ve got a really good rapport with them and you seem to be able to communicate with them quite well, you might actually find that the information translates very easily to them and you have great success. With some people, they might find even the process of going to see you a little bit threatening. You may have been in an environment where they’re not really able to use their cognitive function. There’s a really good example of this is spinal cord injury. In fact, people with spinal cord injury that were tested on neurocognitive tests, that’s they’re overall cognitive function, and those with low cognitive function, actually you wouldn’t have known that in the hospital environment where everything was controlled and they’re being cared for. As soon as they went into the complex environment of going home, then those with low cognitive function actually were the ones that develop quite quickly into people with anxiety and depression and other kinds of morbidities that can tend to impede your improvement once you get out in the real world. We haven’t tested that in chronic pain, but you may think that there are some context in which perhaps that function is really highlighted as being poor. If that happens to be when you’re trying to give them information on conceptual change, it might make it really tricky. When you talk about context, I think of the various types of practice settings, it could be anything from a practice where you have a private room with nice, soft music to a practice where you’re in a busy environment and maybe you have rock music playing. All those factors can be involved in how your patients are able to process what you’re telling them, of course. Very good analogy. Some people might really love the rock music and the really noisy environment. That may be self-attracting so they might say, “I really like that environment,” so you go across there. Sometimes you end up in those environments, you don’t really like them. You can’t work out what it is that you’re not really enjoying about the whole situation, but that will impact how you go about things. We know that chronic pain typically starts somewhere between three to six months after an injury, although you don’t need an injury to actually have pain. My question is, where do we start to see cognitive function or impairment start to show up? Is that early on right away or is it not until someone had chronic pain for, let’s say, years to decades later? We don’t know whether the pain itself helps to cause some of the changes that would affect your cognition. I don’t think we really have a clear answer about that. We don’t know whether the pain itself, if it goes on to an ongoing pain state, if it transitions to that, whether that helps to cause some of the changes that would affect your cognition, or whether in fact you may have some cognitive deficits prior to that being the thing that might predispose you going on to chronic pain because the decision-making process perhaps or your ability to synthesize the information might not have been quite as good as it could have been. I’d like to make very clear now though that it’s not an intelligence test. Cognitive function and intelligence actually don’t have a lot to do with each other. Perhaps education level certainly does, but I’m not talking about anyone’s intelligence when I say that. I have a lot of psychologists who follow my podcast and social workers who are more familiar with this topic, but if you’re a physiotherapist or maybe an occupational therapist, is there a way we can start to measure cognitive function? Or should we be doing that when we evaluate a patient in the clinical setting who has pain? A recent article that came out in the British Medical Journal has looked at the cognitive function testing in people with chronic pain. Actually the amount that you change cognitive function is really a bit of a factor to do with the test. They have come up with four different tests that could be used in a standardized way to look at people in the clinic. We haven’t done that as yet, but basically they’re actually quite simple and they’re widely used. Things like a Stroop Test, which is the test of inhibition. If you see the word “green” but it’s written in the color red, then your immediate reaction is to say red. In fact, you have to inhibit that and say green. That test will show up cognitive impairment in people with chronic pain. Also a Digit Span test, looking at how many digits you can remember if they’re shown on the screen. There’s a magic number of seven, that’s how many people can often remember. That’s also quite a simple test. I’m intrigued in talking to people at the present to see if we could get very small battery of tests that would use that information in the clinic, so we could put it out there and perhaps people could test it and we could have feedback from clinicians. The other way of doing that in research of course is getting consensus amongst experts in the field using a Delphi study or something along those lines. I’m also quite interested in that, but that’s a lot more involvement with people who are often very busy. It sounds like right now there’s not one test that we can give to test cognitive functions, probably a couple of tests that we’d have to administer to get a full picture. That’s exactly right. In fact, I might write a blog about it and put it up on the Body in Mind website, which would be an interesting thing to put out there and see what clinicians actually find if they’re using those tests in the clinic. I guess what you’re saying is we lack a heuristic at this point as to measuring cognitive function in patients who have pain. Yes, we do. You need to put it in that context construct as well. You might find that people are doing pretty well in your clinic and they’re actually getting better but the ones that are not, you might then start looking at context even maybe more than cognitive function. Even if we had this perfect test and someone comes up positive or has cognitive impairment, is what we do in physical therapy and as a physiotherapist sufficient enough, because it’s involves planning and memory? Is that enough to help someone with their cognitive impairment when it comes to their pain? Yes. We probably can’t answer that for sure at the moment, but I like the way that you’re thinking about it. We do ask people also to use the embody part of cognition quite a lot; planning their movements and thinking about how their body looks. We might use mirror therapy, we might use other feedback therapy as well, which will also change those cognitive structures and the cognitive processing that we have. There are also things like Lumosity, you hear about the mental training app that you can download on your phone. I’ve been trying a few of these with some of the patients that I have. I have had some success with people who want to get back to things like concentration-focused activities. The criticism that is generally around for research about these things is that it trains you for a particular task and it doesn’t transfer very easily. The jury is probably still out on whether they’re useful or not. However, I have had some success with people who want to get back to things like concentration-focused activities if they’re actually training themselves using some of those apps as well. That’s a bit of hearsay and not a very good research, but anecdotally, there probably is potential there. A lady by the name of Katharine Baker, who’s in Melbourne, is also looking into this. She’s actually tried using a web-based and a person-based training program for people with cognitive impairment and chronic pain. At the moment, they’re not finding any great differences between those two ways of intervening. I’m waiting for the next installment from her. She is another name to look out for. Her PhD is looking into that at the moment. You mentioned the app Lumosity, which is a great app for people. They can obviously test it and try it on themselves. If you’re a physiotherapist and you wanted to give your patient a couple of strategies like that, what would you recommend? Obviously, they could see a psychologist who can help them with that, but that’s not always appropriate or it may not always be accessible. Are there other ways that we could point them in the direction? Of course, aspects of physical therapy will help them and there are aspects of cognitive behavioral therapy in physical therapy, so we do challenge people on the cognitive level as well as the physical level. What other ways could we provide or do a service for our patients? We can think about the way we deliver information, because working memory actually works more efficiently if you deliver it in batches or in blocks. Planning or setting out a curriculum of the information that we really have identified is necessary for that person to make some conceptual change, and sticking to the curriculum. The way we go about, I guess, progressing exercises is no different to the way we maybe should go about progressing conceptual change, ideas, and cognitive interventions with our patients. Chunking information is a good way of doing it, putting related information together. You might try and explore why that person is having difficulty integrating that particular piece of information. Also getting people to feed back the information is really important. Getting feedback from them immediately and then you can give them feedback on how they’re understanding that or whether we need to look at it in a different way. Presenting information in lots of different ways is also a good way to improve the ability that someone has to transfer the information. Also, not expecting a lot of progress in some areas. Our expectations are sometimes, “I’ve given you that piece of information, why haven’t you done something with it?” You might try and explore why that person is having difficulty integrating that particular piece of information. Always having patience and persistence and sometimes compassion plays a key role when you’re working with patients. You mentioned the word “curriculum” which I love, because as we start to look at the stratosphere of pain, we have information coming from pain science. We have information coming from the physical therapy world. We have information coming from the psychology world. What are maybe the top three components of a curriculum that you would recommend a clinician includes in their curriculum or that they would really need to apply to someone one who has pain? I think you mentioned one already. What do you think that one is? I think you mentioned chunking things down into bite size pieces. As clinicians, we have so much information in our head and I think we get caught in a Q&A session almost with patients. At times, it can be beneficial for patients, but also a Q&A can overwhelm people as well. I think creating a curriculum where you chunk things down into bite sized digestible pieces for your patient. 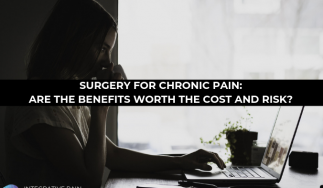 If it’s someone with a sprained ankle that’s gone chronic versus someone who have had fibromyalgia for three decades, that may be a very different thing. I’m just wondering what else you might recommend as far as creating that curriculum or how it relates to helping people with cognitive impairment? The content will be very different between different patients, of course. The way I would normally go about creating a curriculum for a patient is actually to investigate their understanding of their problems, their beliefs, their thoughts. The overall way in which they think they’re going to get better and whether they think they’re going to get better. In my narrative subject to interview, get all of that information. Similar to the way, in Australia, we’ll often asterisk or mark physical incapacities highlighted with pain or something. I would do that also with all of the cognitive areas. The areas where a person’s not quite got the concept that I really want him to have. That could be across the systems. I would look at the immune system, because the immune system is really important in cognitive function. You actually don’t make connections or learning. You could say learning is an inflammation in the brain, because once you start functioning and focusing and putting your attention there, you also upgrade the immune system. You need to think about whether their immune system is working well. You can find that information out by asking them if they have sickness, illnesses, those things. We probably need to cover that system. We need somebody to cover the endocrine system and also the stress system, because they all play a role in how this cognitive function will come together, how well you’ll do it. I’ll take a systems perspective and then try and work out of those paradigms which one we’re going to look at first. Although we don’t have probably a lot of evidence based for physiotherapist intervention in the immune system for example, probably a bit more with the stress system or in the endocrine system, we can make these ideas of general, good common sense impressions of how to keep your immune system well or how to generate a better immune system. Your diet idea, that’s fantastic. How many physiotherapists look into a person’s diet? Maybe the diet actually has something to do with them not getting better as well. These things certainly play into the immune system, and rest. There may not be any very good sleep, so he’s stressed and endocrine and the immune system being a bit dysfunctional. These things will all affect it. I would look at it as chunking the information once I’ve worked out on the systems level, which was a higher priority, and then thinking about things that people would easily take on board. We might look at sleep hygiene or we might look at something that will make an effect hopefully in the early situation, in diet, sleep, all the common things, immune, hygiene. I’m glad you brought lifestyle into the topic because oftentimes we are so stuck on the brain and pain, so to speak, and we’re stuck on thoughts and we’re on a deep neuroscience level, but we know that 70% of the immune system lives in the gut and your gut-associated lymphoid tissue or the GALT, and there’s a gut-brain connection. If your gut’s not working well, your brain is not probably working well, and vice-versa. Thanks for bringing that into the conversation. You started out in clinical practice as a physiotherapist, and then you’ve slowly but surely ventured into the world of research, which really are two different worlds. Just as a clinician to clinician, what was the most surprising aspect of leaving the one world and arriving in a new plan, so to speak? What’s the biggest thing you’ve learned from your research that was surprising? Actually it was quite surprising learning the rigor with which one takes on a risk of each project. The two systematic reviews I did were humongous. They took so much time and effort and rigor and work. You have to be very honest with yourself. I was pretty honest as a clinician, but there are ways of perhaps manipulating your thought about how well you did with a patient. Whereas I feel that in research, in black and white, I’m writing down my thoughts. I have to be very honest and keep the integrity in research. I found that quite a rigorous undertaking and quite different. I have to be very honest and keep the integrity in research. On the flip side of that, I find research a lot more flexible than being in the clinic. When you’re in the clinic, you are on demand. You see the patients every half an hour or every hour, those sorts of things. You are given over to that patient, all the time. There’s a lot of emotional output, there’s a lot of empathy, and a lot of synergy with the patient. That’s actually quite charring. I remember getting to Friday nights and thinking I can only deal with Friday night people. I’m not going to have anybody difficult to deal with. Find me a friend that I’m really comfortable with and I’ll do that on a Friday night. I don’t have that same feeling now. Maybe sometimes I’m almost the opposite, “Give me people.” Because although you work in a research group, you’re often in office quite often, so it’s a very different feeling from that. I do love it. I love it more for the fact that I’ve got all these clinical experience and then I can really try and translate the information that we learned across. I love when clinicians go back for their advance degrees and PhDs. It makes a wonderful combination. Cognition is not something that I know a whole lot about, although I’m learning more and more and more as I study. We’re all learning more because most of the pain science is new so anything we’re learning in pain science is really cutting edge. If someone with pain is listening to this podcast and they’re saying, “I’ve had pain for ten years. I haven’t been able to find a solution. Is it possible for me to live a life without pain?” What would your response be to them? I’m always on the hopeful side and I think we don’t know everything yet, so I feel that there is that possibility and I feel that your brain is such a magic machine. We are only scratching the surface. Some of the neuroscience that we know, we know how much the brain changes when we go into chronic pain. We have changes in your own synapses. We have changes in the medical connectivity. These things, they change one way but I always have this hope that we would be able to not necessarily change them back, because our experiences we carry with us, but change them for a better us. I’ve yet to have proven to me that that can’t happen. Because in fact, in my experience as a clinician, there are some people that I thought would never improve and surely enough they did. They improved back to a normal functional life and some of them without pain. I still have this hope that that will be a possibility for everyone out there. I want to thank Dr. Carolyn Berryman for being on the Healing Pain Podcast. As a favor to myself and Dr. Berryman, please make sure you go into iTunes, give us a five-star review and make sure you share the information out with your friends and family. It’s super important if you know someone with pain, they would love to hear this information and the topic. I want to thank all of you for being with us this week. I will see you next week. Dr. Carolyn Berryman is a physiotherapist with a multidisciplinary, pain sciences approach to the treatment of, and teaching about, neuromusculoskeletal disorders. She has over 20 years’ experience as a clinician and lecturing at the physiotherapy program at the University of South Australia. She is a commissioning editor for BodyinMind.org; a blog site to promote the early uptake and better understanding of recent advances in clinical pain sciences. Carolyn has spoken at several major conferences both in Australia and overseas. Having a long term interest in pain management, Carolyn completed her masters of Medical Science (Pain Management) at the University of Sydney in 2005 and completed her PhD at UniSA a year ago. Supervised by Prof Lorimer Moseley, it examined the association between chronic pain, cognitive impairment and somatic hypervigilance. Carolyn in conjunction with Profs Mike Ridding and Lorimer Moseley, will be investigating brain plasticity in people with chronic pain for the next four years. Connect with Dr. Barryman on LinkedIn. 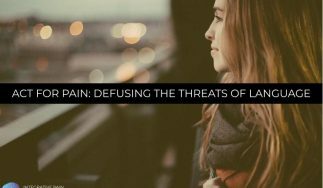 A catalyst to broaden the conversation around pain emphasizing biopsychosocial treatments.